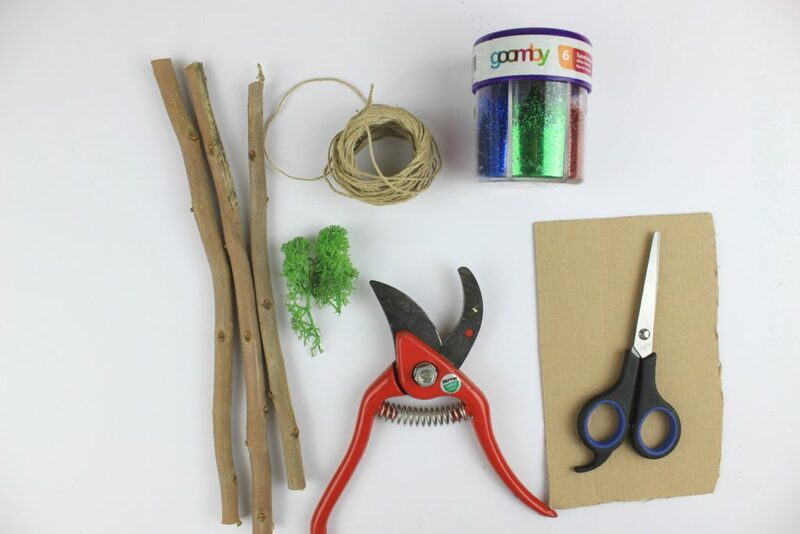 DIY Christmas Advent Calendar with materials from the Nature! Having fun and creating memories with an amazing game we play with kids just before Christmas! November almost ends and now is the time to start the preparation for Christmas, if you are delayed like we did. At least, we managed to decorate our Christmas tree yesterday and of course to decorate our home with lights and small decor accessories like elves and cute animals and candles and stars and so many others. This is the third time we will have an Advent Calendar. We started two years ago and finally we consider it as a tradition! kids are expecting it and also I am! 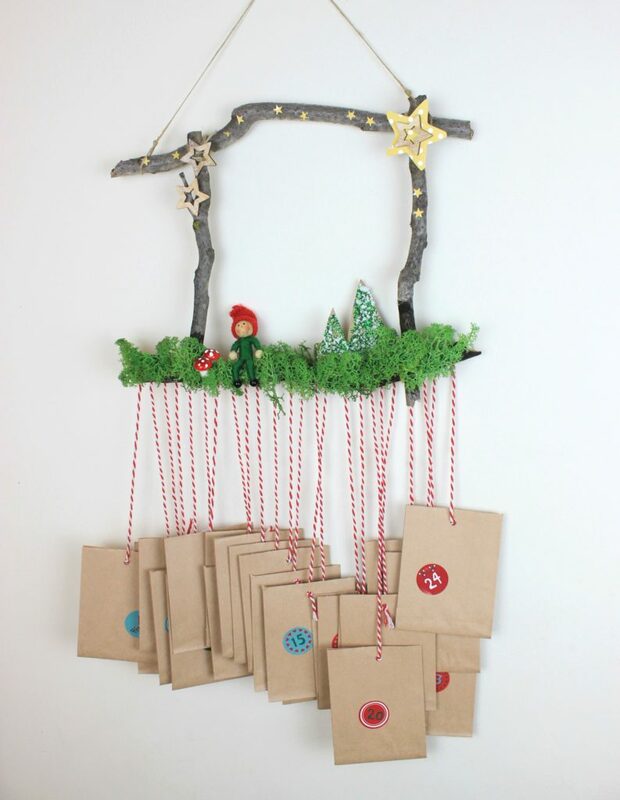 So, DIY Christmas Advent Calendar with materials from the Nature! I was not fanatic with having a calendar like taht, but now it is mandatory before Christmas. the reasons? First of all, because it is a challenge for me to organize ourselves and our time and have fun with activities and secondly, because it makes me feel like a kid again! It is not mandatory to have gifts every day, but you can add also activities like crafts or theater or Christmas movies or excursions…too many things to do! Last year’s Advent Calendar was full of little elves! 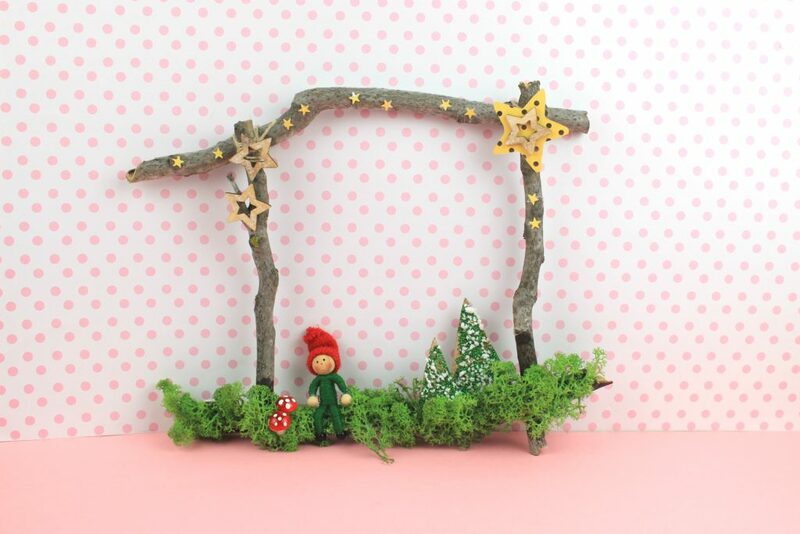 Actually it was the elves village, full of green and mushrooms! The kids loved it, that’s why we kept it in our decoration for the whole year! This year’s calendar has the same woodland style, but with cheaper materials (yes, most of them I found them on the forest!) and of course different pattern. So, let’s start it. 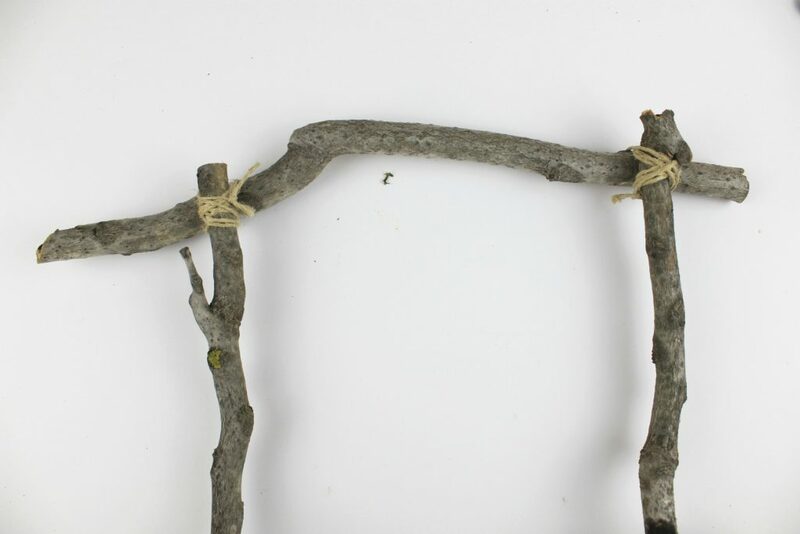 First cut 4 branches with almost the same length and make a window. use hot glue to stabilize them and on top robe to hide the glue and make it even more stable. 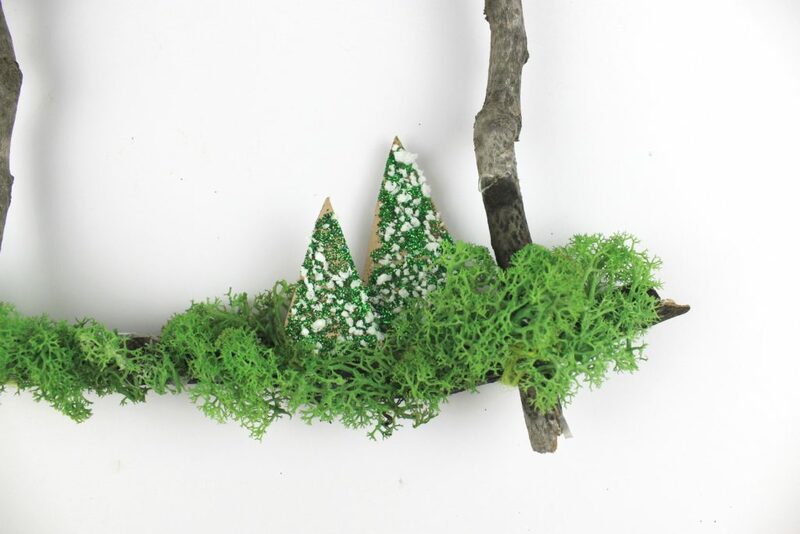 Start adding with hot glue the moss and decorate your scenery. 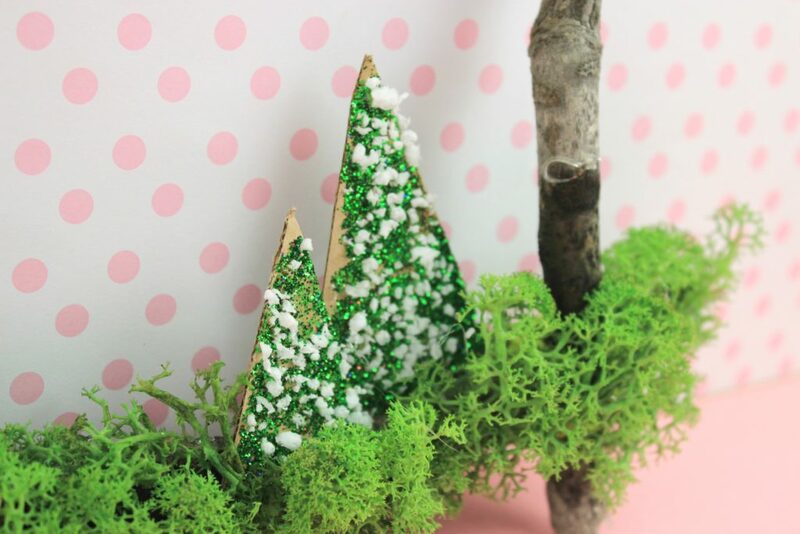 Trees are also part of our scenery, so can a cardboard in small triangles with different size. Apply white glue with the paint brush and add the glitter and snow. Let them dry. 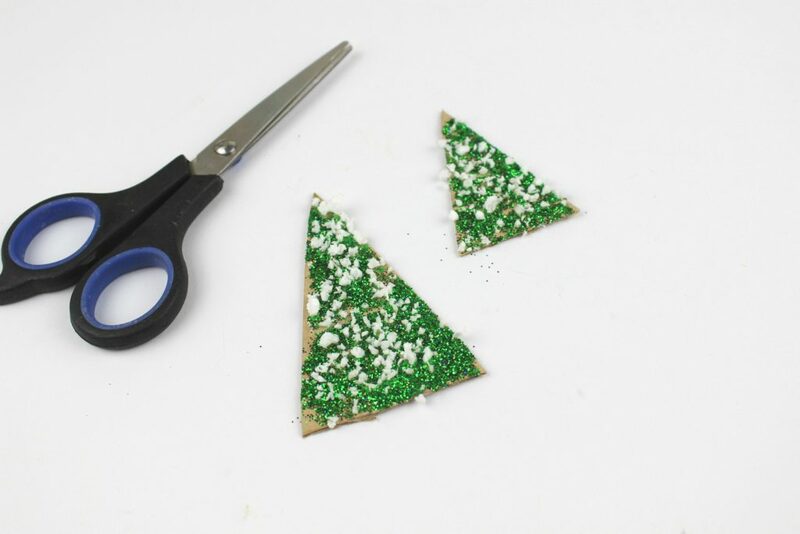 With the hot glue again, decorate them on your calendar. Add more moss if needed to cover any gaps. 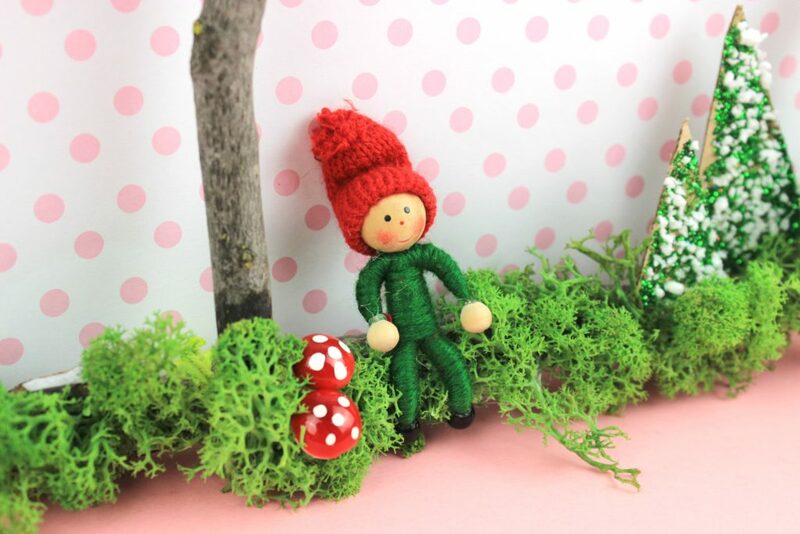 Mushrooms also in my scenery and my favorite little elf! With a star paper cutter, make a few stars and decorate the upper level of the calendar, creating a sky! The calendar is ready! Ok…almost ready! 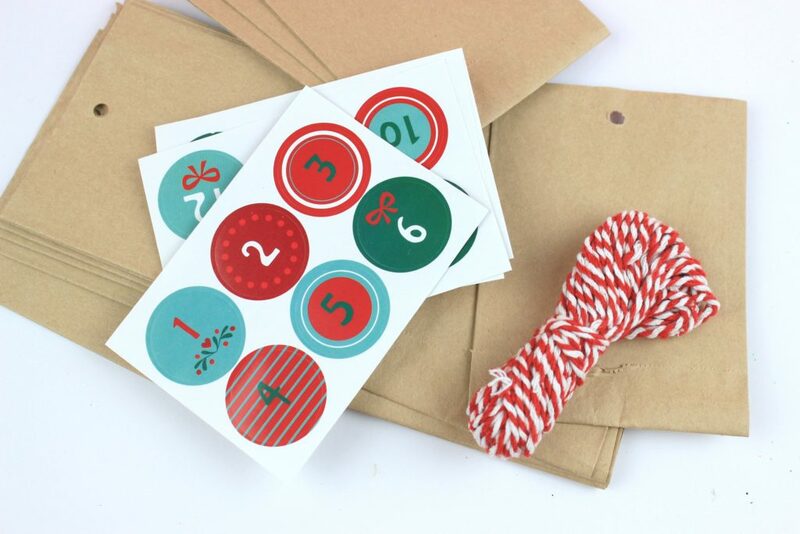 So far I was using different types of envelopes and I was trying to find a cute Christmas ribbon and numbers of course. This year I found this set for the Advent calendar and it was really cute and helpfull of course! 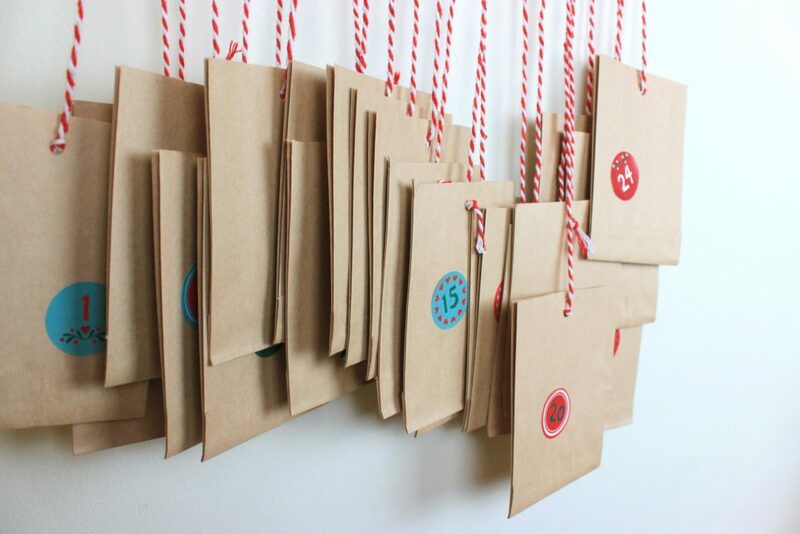 Pass the thin rope in the envelopes, stick the number on it and glue it in the back of your calendar. Every time you have completed an activity, just remove the rope and the envelope from your scenery, until you have removed everything. 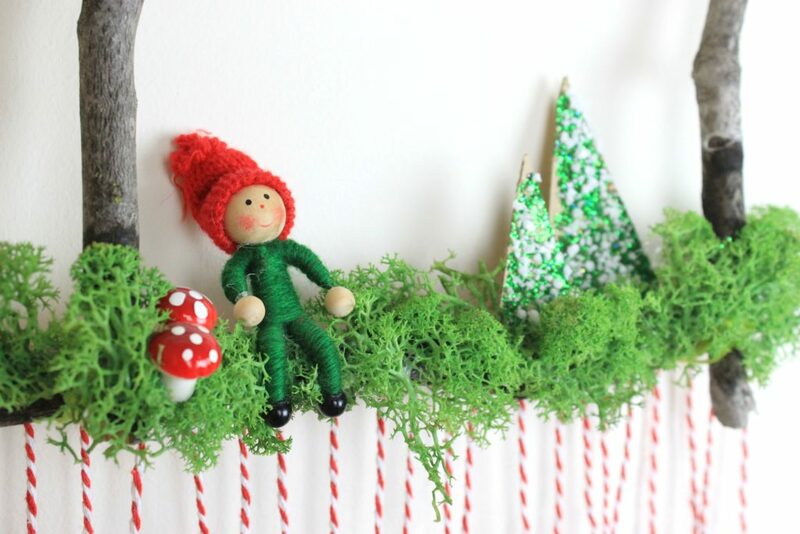 The little elf is admiring the sky full of stars and we have it already in our wall! To be honest I have added also a few tiny Christmas lights and it is even more cute! So, have you prepapred your Advent Calendar for this year??? Happy Crafting and Let’s start counting…. What a cute idea! Even though we don’t have kids, my husband and I countdown to Christmas with an advent calendar my mom made for us where we tuck candies into pouches for each day. Oh I love this! What a fab idea and so much fun to do! My kids would really enjoy doing that Im sure, saving to try! This is such a fantastic idea! Not only do I love homemade Christmas presents, which I think are so much more heartfelt than store-bought stuff, this also is a great way to get the kids excited and looking forward to it. Also great for a budget! This looks easy to make! We haven’t bought any Advent Calendar for this year. I think I’ll go for DIY this time. What a great idea! I like how the craft uses simple materials, that you can locally source. I like how you said you added the Christmas lights! I am sure it made it more festive! Oh my! I haven’t prepared an advent calendar yet but I must say that I love how cute yours looks like. It just gives me Christmas vibes. 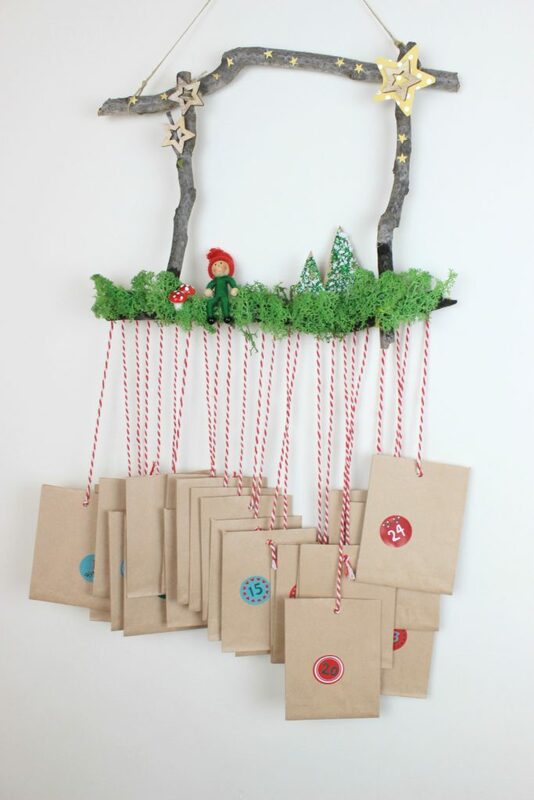 That is such an adorable advent calendar. I love that is a DIY one. This looks like something my kids would enjoy helping me with. We will make it for sure! Αυτά τα παιδιάστικα καλούδια που ετοιμάζεις μου προκαλούν ζήλια!!! Κάτι μου λέει πως κι εγώ του χρόνου θα τα κρεμάσω τα κουτάκια, αφού δανειστώ κανά δυο σκέψεις σου …!!! Φανταστικό έγινε πραγματικά!!! Oh my goodness! I think this is so cute. 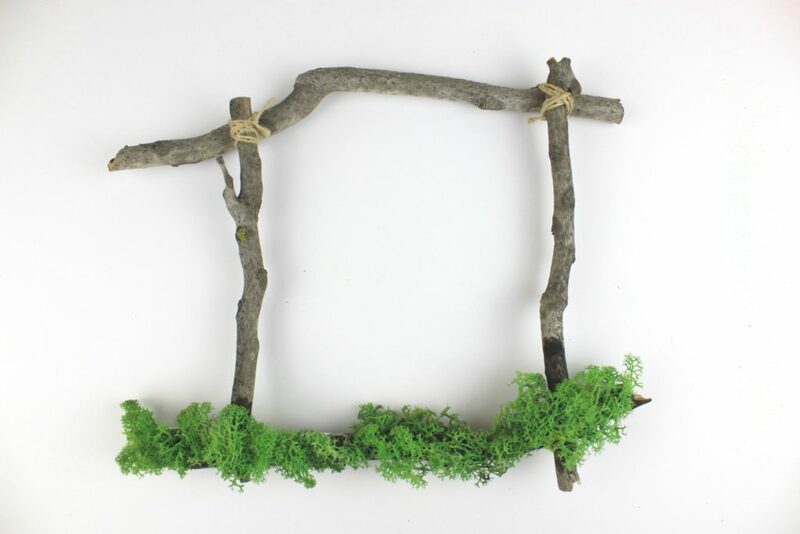 I love how you used natural elements, yet it is simple to do. So creative!